Cast Your Vote, Get A Dollar Off Our New Savory Pastries, For A Limited Time Only! Introducing the Sun Dried Tomato Croissant, Parmesan & Asiago Croissant, Rosemary Croissant and the Olive & Pine Nut Croissant! For a limited time only, try our three new savory pastries, at our Essential Baking Company Café locations. Cast your vote for best pastry by filling out a quick survey and we’ll give you a dollar off your purchase! The winning pastry will be added to our menu for good and the others will be an un-sweet memory. Our original recipe croissant rolled with (unsulfured) sun dried tomatoes and a blend of Parmesan and Asiago cheese. Unbleached enriched wheat flour (niacin, reduced iron, thiamine mononitrate, riboflavin, folic acid), butter (milk), water, cheese blend (parmesan [pasteurized part-skim milk, cheese culture, salt, enzymes, cellulose], asiago [pasteurized part-skim milk, cheese culture, salt, enzymes, cellulose]), sugar, sun dried tomatoes, walnuts, salt, yeast, barley malt. 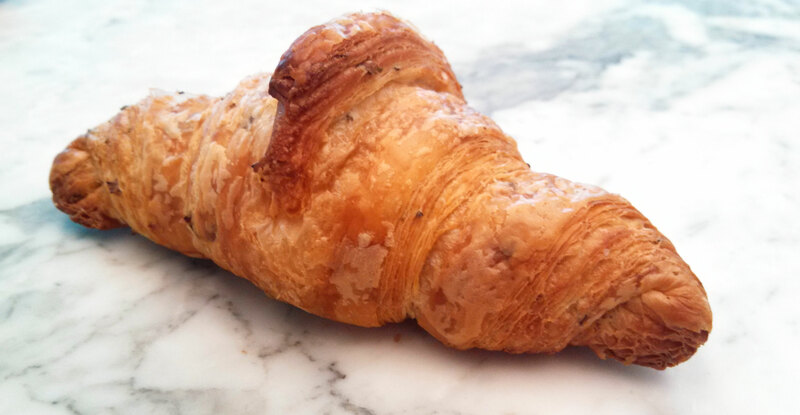 Our original recipe croissant with an inclusion of fresh organic rosemary. Ingredients: Unbleached enriched wheat flour (niacin, reduced iron, thiamine mononitrate, riboflavin, folic acid), butter (milk), water, sugar, rosemary, salt, yeast, barley malt. 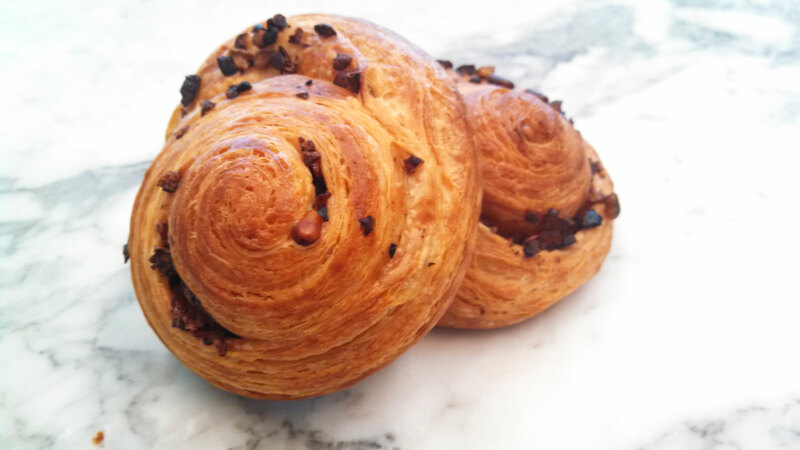 Our original recipe croissant rolled with a mix of black and Kalamata olives, pine nuts and minced garlic. Unbleached enriched wheat flour (niacin, reduced iron, thiamine mononitrate, riboflavin, folic acid), butter (milk), water, canola oil, olives, sugar, garlic, pine nuts, salt, yeast, barley malt. Have you tried these pastries yet? Our Pastry Team wants to hear what you think. May the best pastry win! https://i0.wp.com/essentialbaking.com/wp-content/uploads/2014/09/RosemaryCrossaint-Banner-1.jpg?fit=1500%2C430&ssl=1 430 1500 Kendra https://essentialbaking.com/wp-content/uploads/2018/09/Logotipo_Essential-Baking-e1537914727842.jpg Kendra2013-07-29 22:45:022015-03-18 14:49:37Cast Your Vote, Get A Dollar Off Our New Savory Pastries, For A Limited Time Only! Introducing Our Newest Customers! Introducing Our Newest Customers!